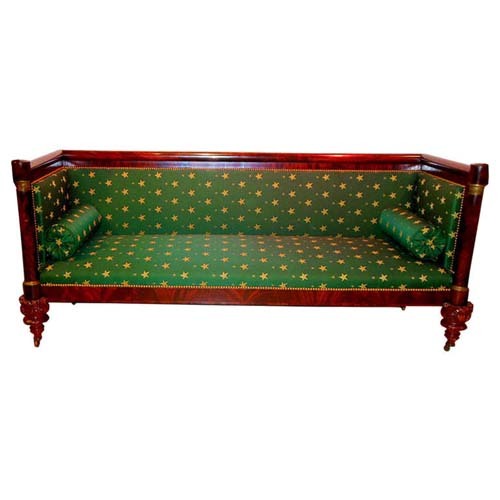 An American mahogany and bronze mounted box sofa, New York 1st quarter of the 19th Century. 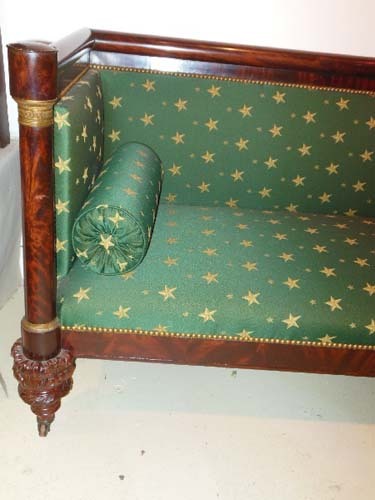 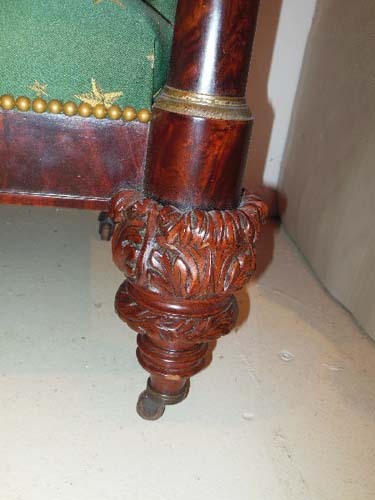 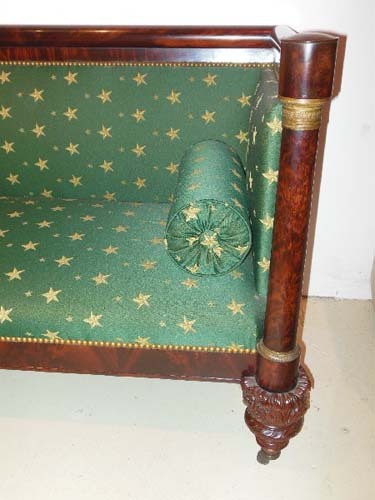 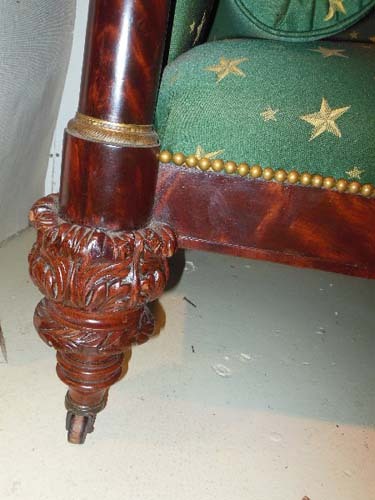 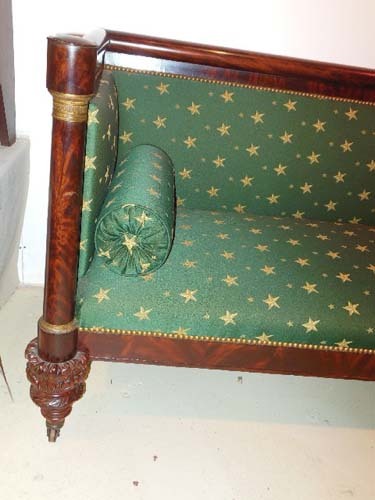 The sofa raised on crisply carved acanthus turned feet terminating in the original brass casters. 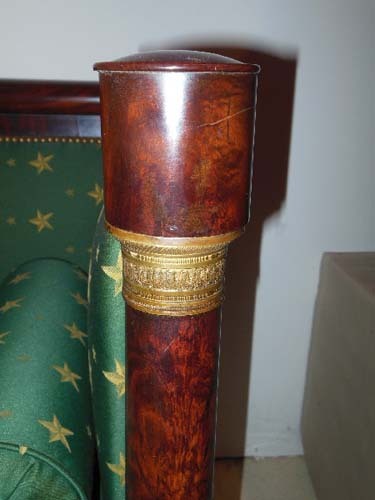 The columns maintain the original bronze mounts which have not been regilded. 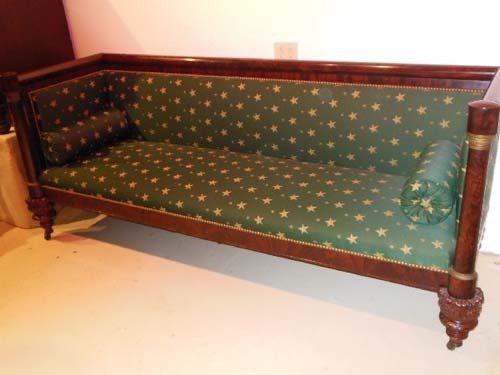 The sofa has only been French polished and reupholstered and is in beautiful condition.